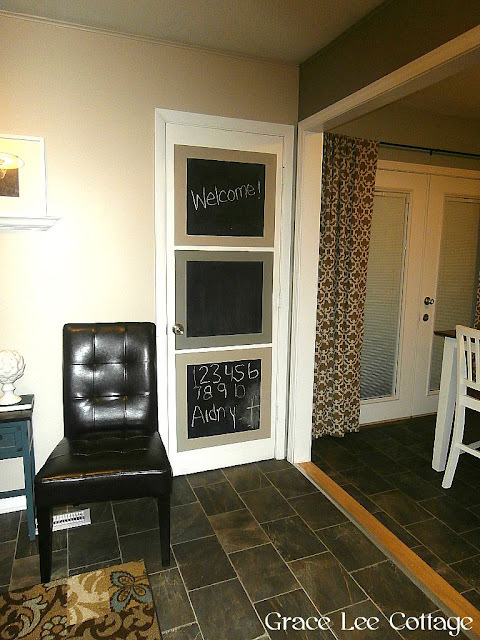 Chalkboard paint has become so popular over the last couple of years. There are a million plus ways to use chalkboard paint. It's really endless what you can do with it! I have used it in different ways all through out my home. One of my favorite uses of this fabulous paint is in my kitchen, on my pantry door. My pantry door was just plain before. Our interior doors are smooth without any raised panels so they are pretty boring. I thought this would be a fun and useful way to jazz this one up a bit. I began by taping off the areas I wanted to paint so I could create 3 blocks of chalkboard space. I didn't do any measuring (shame on me!) I just eye-balled it and used the edges of the door as my guide. I used regular masking tape for this project because I was out of painter's tape at the time. I'm sure painter's tape would result in sharper lines, but honestly the masking tape worked pretty well. I used Valspar's chalkboard paint and a simple paint brush to brush on the paint. It took 4 coats in all! Luckily the paint dries quickly so there was very little waiting time in between coats. The next step was to create individual borders around each chalkboard square. I used the same taping technique, using the edge of the door as my guide. I completed this little project before our addition was done. The exterior door you see above is no longer there. In it's place is a wide doorway that leads to our new dining room/mud room. I also re-painted the top and bottom chalkboard blocks in a different color to tie it in with the rest of the space which I will show you very soon! Here is what this area looks like as of now. I love how this technique creates multiple zones. 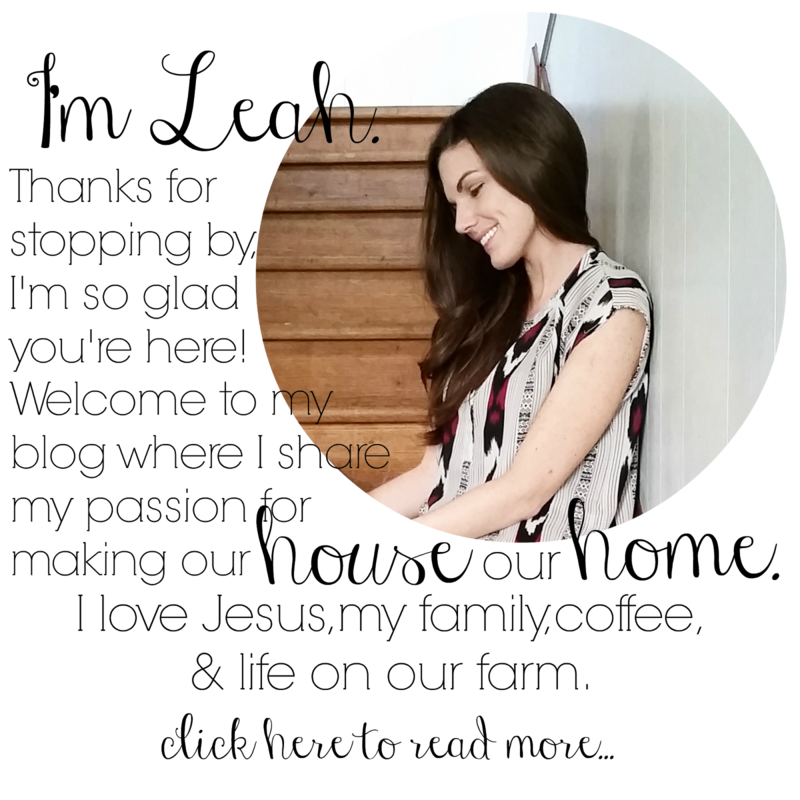 I use the top block for welcome notes, grocery lists, or special reminders for the week. My daughter uses the lower two blocks for writing and creating! It's functional for our entire family! 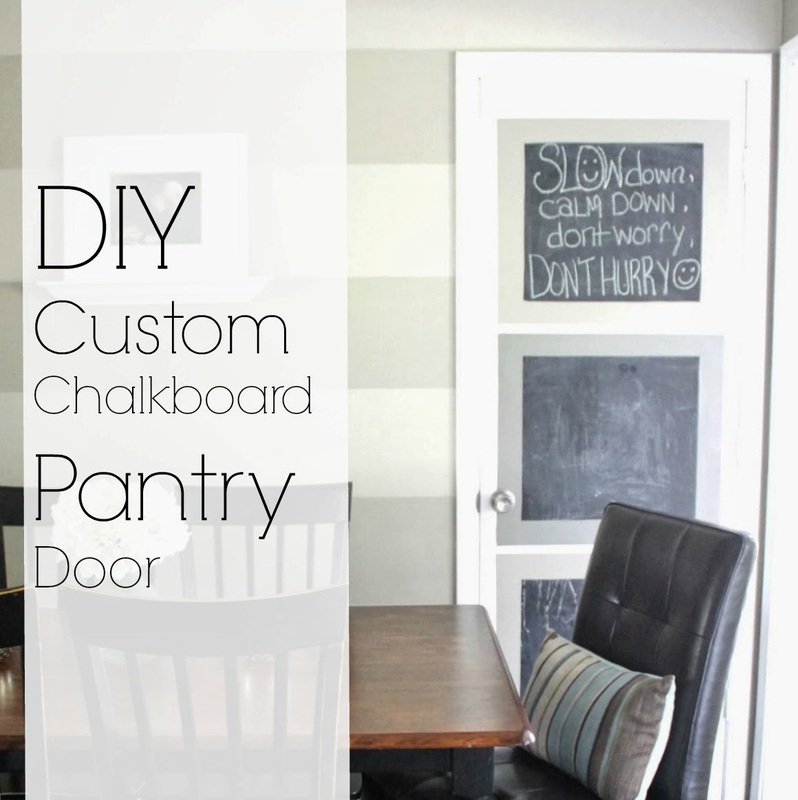 I like this idea for customized chalkboard pantry doors, its really good for the sake of the little kids. Thanks for having me here. Generally I don't read article on blogs, but I wish to say that this write-up very forced me to try and do it! Your writing style has been surprised me. Thanks, very nice post.